Zachary A. Kretchmer is a shareholder and partner of Arnold, Rodman, and Kretchmer PA. Mr. Kretchmer’s practice is devoted exclusively to family law representing clients on cases involving complex business valuations, non-marital property, spousal maintenance, paternity, child custody, child support and adoption matters. 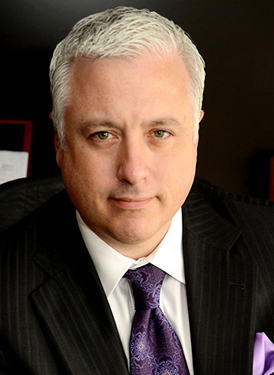 Mr. Kretchmer has been recognized as a Super Lawyer® by SuperLawyers.com based upon his achievements, as well as peer recognition, in the area of family law. Mr. Kretchmer is also a Fellow of the American Academy of Matrimonial Lawyers (AAML), which is a national organization of family law attorneys recognized by their peers as among the most skilled family law practitioners. Mr. Kretchmer is an experienced and confident litigator who will use his command of the law and the particular facts of the case to protect his client’s interests as necessary. However, Mr. Kretchmer is also a skilled advocate in the context of mediation, and other forms of dispute resolution, to help clients achieve a cost-effective and pragmatic resolution to their family law matter. Mr. Kretchmer is a meticulous practitioner, a Rule 114 Qualified Neutral, and offers family mediation services in addition to his litigation practice. Mr. Kretchmer is frequently invited to speak on a wide range of family law matters by local and national organizations including advanced family law seminars. Mr. Kretchmer is a member of the Board of Managers for the Minnesota Chapter of the AAML, has served on the Board of Directors for the Minnesota Chapter of the Association of Family and Conciliation Courts (AFCC), and he is a former co-chair of the Hennepin County Bar Association – Family Law Section. Mr. Kretchmer has presented Continuing Legal Education classes on the child support law, custody, parenting time, managing high conflict cases, and disability insurance. Mr. Kretchmer also regularly teaches mediation trainees the financial and procedural aspects of divorce in Minnesota. Mr. Kretchmer has been published in the Family Law Quarterly.